Propolis contains resinous material collected by honeybees from plants, and has a plethora of biological activities. The geographical location of propolis collection influences its chemical composition, resulting in variations in biological activity. The present study was designed to analyse the relationship of propolis to geographic location, chemical composition and biological activity. We have applied multiple regression analysis using SPSS to examine selected flavonoids and phenolics for their individual concentration as well as total content and biological activities i.e. anti-microbial activity against Staphylococcus aureus and anti-oxidant activity by DPPH assay. Three climatic zones have been classified- temperate, subtropical and tropical. This meta-data analysis revealed some interesting facts about the distribution of specific chemicals (CAPE, pinocembrin, pinobanksin, galangin, naringenin, chrysin, quercetin, apigenin, cinnamic acid, coumaric acid, caffeic acid and ferulic acid), as well as, total phenolic and flavanoid content and biological activity. We observed that, the phenolics have stronger anti-microbial activity as compared to flavonoids and vica-verse for anti-oxidant activity. We also noticed that, total phenolic content is often around 1.5 times higher than flavonoid content in almost all climatic zones. Higher levels of cinnamates were observed in propolis from tropical regions which had better anti-microbial potential, whereas, temperate propolis with higher levels of flavonoids exhibited better anti-oxidant potential. Acknowledgement: We acknowledge the financial support from Innovate UK and Nature’s Laboratory Ltd. (KTP010490). We also acknowledge the financial support provided by Winston Churchill Memorial Trust (2016-17). ISNAD KATEKHAYE, Shankar , FEARNLEY, Hugo , FEARNLEY, James , PARADKAR, Anant . "Study of Relationship between Geographical Location of Collection, Chemical Composition and Biological Activity of Propolis by Multivariate Data Analysis". 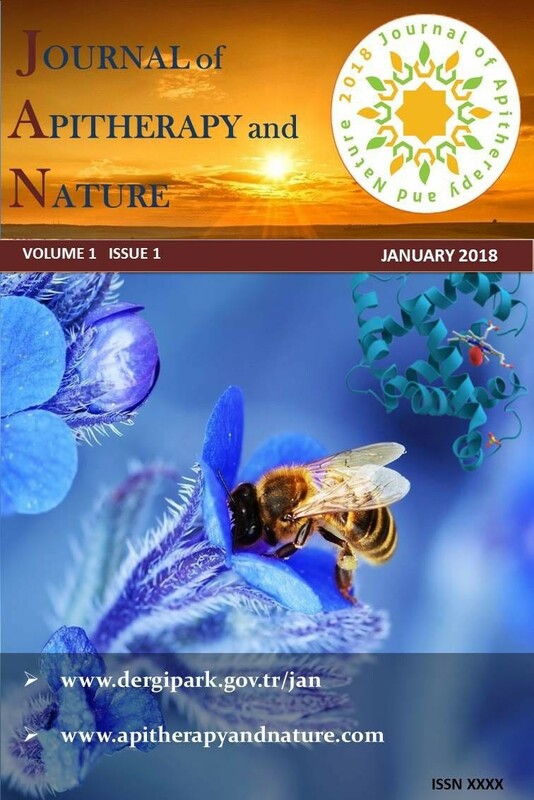 Journal of Apitherapy and Nature 1 / 3 (December 2018): 24-24.